Another day, another new look at Star Trek: Discovery giving us some weird insight into all the things Starfleet did before the events of the past TV shows. Yesterday, we got to see that they’d begin a legacy of uncomfortable uniforms. Today, we’ve learned that they’re gonna forget about protecting away teams real quick. 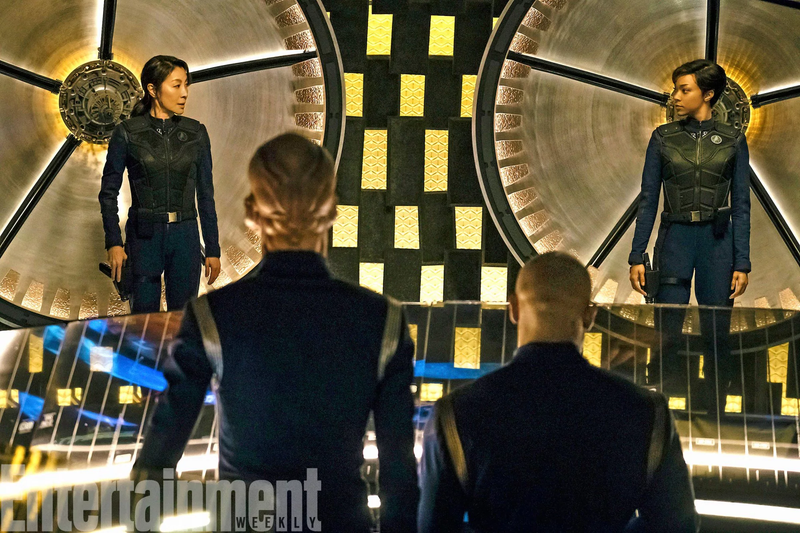 Entertainment Weekly has another new look at the series, ostensibly to unveil the Transporter room aboard the U.S.S. Shenzhou, the ship captained by Michelle Yeoh’s Phillipa Georgiou that we open the series with, presumably before lead character Michael Burnham (Sonequa-Martin Green) is transferred to the titular Discovery. While it looks very different (and much, much golder) to what we’ve seen from Trek shows in the past, what’s most interesting is what Georgiou and Burnham are wearing: Protective armor over their uniforms! 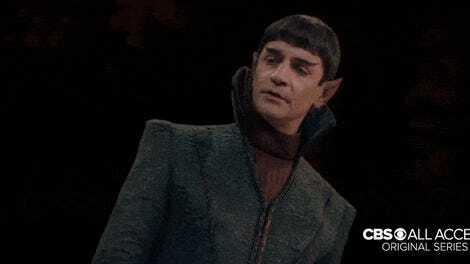 How many Starfleet cadets have been killed by physical trauma or sharp objects because they’ve had nothing but a standard issue fabric uniform as the only barrier between the strange new world they’re standing on, and the strange new ground they’re probably about to bleed out on? This makes Discovery’s nature as a prequel even funnier, really, because it makes it now totally bizarre that 10 years after this—and then seemingly forever in the show’s timelines—Starfleet will promptly forget that giving even the most basic protection to its officers going off-ship was a smart idea. Star Trek: Discovery is set to air September 24.